The Ideal Protein Protocol consist of a 4 Phases to weight loss success. It is a simple & easy ketogenic program, medically developed and based on validated science for safe weight loss. It features one-on-one coaching and a healthier lifestyle education in each phase of the journey. The Ideal Protein Protocol is overseen by a licensed healthcare practitioner & the coaches. Yet it is much more than just losing weight. The Ideal Protein Protocol is about getting your life back and feeling good about being you again. Our weight loss protocol is geared towards those who want to reach and maintain improved well being by primarily reducing body fat and supporting muscle mass. 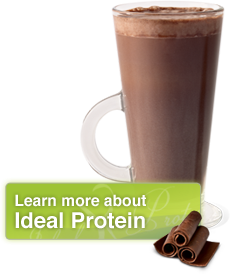 Ideal Protein is much more than losing weight. It’s about how to lose it and keep it off. Our protocol offers dieters what they really want…a structure plan that can put an end to yo-yo dieting. Call Now 630-858-9900 and Ask Us About Your Initial Weight Loss Assessment.